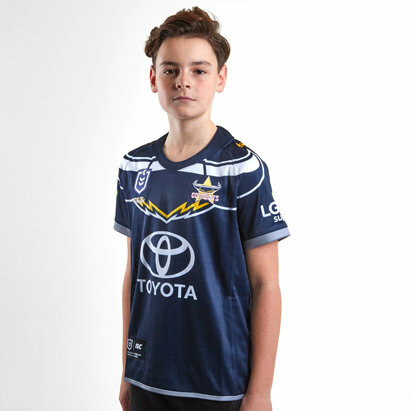 Cheer on the Cows when you turn up at Willows Sports complex in this North Queensland Cowboys NRL 2019 Home S/S Rugby Shirt from ISC. The North Queensland Cowboys play their rugby in Austalia's premier rugby league competition, the National Rugby League - NRL. After finishing a lowly 13th during the 2018 campaign in what was expected to be a title challenging season, the Cowboys now look to improve their game and make a return to the league in a much better position in 2019. They have a partnership with the Australian sports clothing manufacturer, ISC, a partnership that has been strong since 2011. 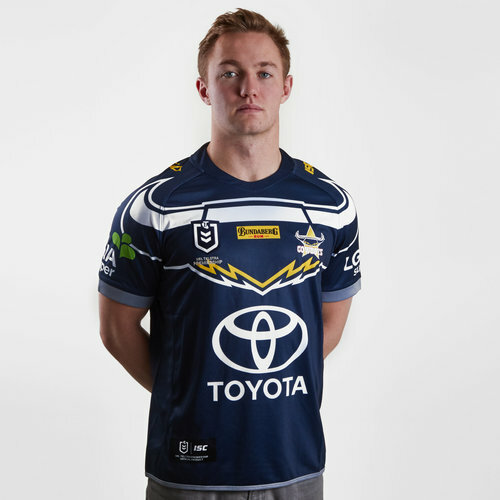 This shirt is for the games they play in the Australian rugby league - the NRL's main competition is known as the Telstra Premiership due to sponsorship from Telstra Corporation and is contested by sixteen teams, fifteen of which are based in Australia with one based in New Zealand. It is the most viewed and attended rugby league club competition in the world. The National Rugby League is Australia's top-level domestic men's rugby-league club competition. 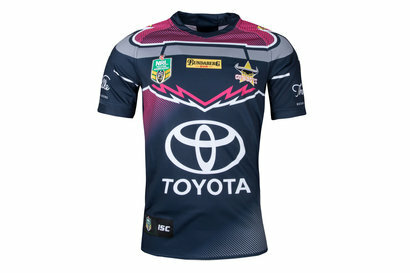 The jersey has put a spin on the classic rugby league chevron design by using a horns motif across the chest and shoulders similar to the chevron shape. This shirt is navy blue with interesting white and yellow accents. 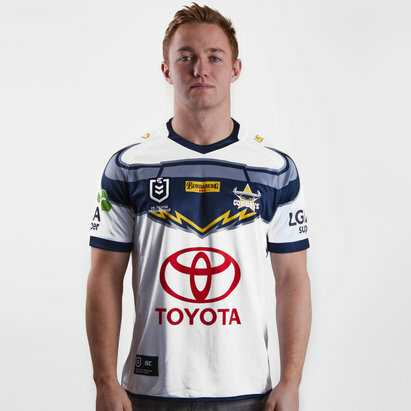 The NRL badge is on the right whilst the Cowboys badge is on the left. The team's sponsor - Toyota - is across the middle.